Effective way to add volume and grip. 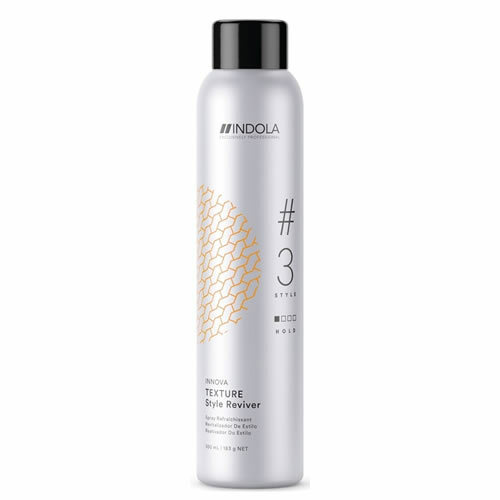 Indola Innova Texture Style Reviver Dry Shampoo represents step #3 in the Indola Innova Texture hair care programme. It's the perfect choice for adding volume and grip and for absorbing oil. Helps to extend your clients' style. Contains Indola's pixel technology that has a UV-filter to protect against UV-rays.